From toilets to sinks to cash contributions, Mansfield Plumbing made financial and product donations to an unprecedented 70 local groups in 2015, plus the national Building Homes for Heroes organization. The company also awarded four $1,000 scholarships to children of employees. Mansfield made cash donations to a wide variety of groups in 2015. 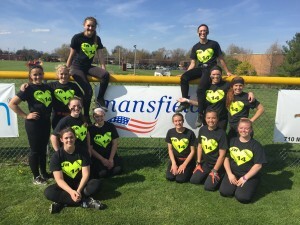 In the Perrysville, Ohio area these included the Mansfield SW Little League, Lucas Area Food Pantry, Hospice of N. Central Ohio and Loudonville Lions Club. In Henderson, Texas, where Mansfield operates a manufacturing facility, donations were made to the local fire department, and the high school football boosters and band boosters. – Building Homes for Heroes – a variety of easy-access tubs and toilets were contributed to seven homes constructed for wounded veterans. – Holmes County (Ohio) Agricultural Society – two dozen toilets and sinks donated to the renovation work done at the fairgrounds. – World Vision – cash contribution to support the organization. In addition to making cash donations to non-profit local groups, Mansfield also donated sanitaryware and bathware products to different organizations. A variety of toilets and sinks were contributed to organizations such as River of Life Community Church, Ashland County West Holmes Career Center and Community Help Mission. Forty Thanksgiving hams were also donated to six different non-profit locations in Ohio.